Attorney Paul J. Zwier II is Of Counsel to Guttman, Buschner & Brooks PLLC. Mr. Zwier is one of the nation’s most distinguished professors of advocacy and skills training. He joined the Emory Law School faculty in 2003. As director of the Advocacy Skills Program, director of Emory’s Program for International Advocacy and Dispute Resolution, and a professor of law, Professor Zwier comes to Emory from the University of Tennessee Law School. He also teaches evidence, torts, products liability, and an advanced international negotiation seminar. 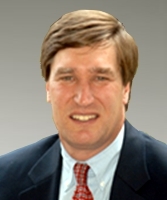 He previously served as professor of law and director of the Center for Advocacy and Dispute Resolution at the University of Tennessee. Mr. Zwier has served as former director of Public Education for the National Institute for Trial Advocacy (NITA) and has taught and designed public and in-house skills programs in trial advocacy, appellate advocacy, advocacy in mediation, motion practice, negotiations, legal strategy, e-discovery, supervisory and leadership skills, and expert testimony at deposition and trial for more than 25 years. In 1998, Zwier received NITA’s Prentice Marshall Award. Mr. Zwier provides GBB clients and others expert advice on trial strategy, jury analysis, and negotiation and mediation strategy. He consults on a wide variety of disputes and topics including litigation involving bad faith insurance, products liability law, federal civil procedure, evidence law, the False Claims Act, securities fraud, patent litigation, MDLs, and other complex litigation matters. He is also an expert and consultant in the area of international dispute resolution. He has provided consulting services with The Carter Center, (TCC), including its work in Israel/Palestine, in Syria, and in Liberia. In 2007 in was part of a TCC delegation working on the conflict in Gaza. In Liberia, his consultations included working with a delegation from Emory’s Institute for Developing Nations (IDN) providing TCC with an assessment of its GBV programming in Liberia, and working with magistrates, judges and lawyers in building capacity following its civil war. This led to consultation and collaboration with the TCC in its collaboration with the Liberian Truth and Reconciliation Commission. Mr. Zwier has trained judges and lawyers for the international criminal courts, including the ICC, ICTY, ICTR, and ICT-Sierra Leone. He has also lead training for Lawyers Without Borders and NITA, for the governments of Liberia, Tanzania, and in Kenya. He has also taught advocacy skills to international lawyers and judges in Yekaterinburg, Russia; Mexico City, Mexico; Quito, Ecuador; Monrovia, Liberia; Nairobi, Kenya; Tbilisi, Georgia; Northern Ireland; Scotland; England; and led seminars in negotiation and dispute resolution for black South African lawyers as part of a State Department program in 1999. Mr. Zwier is the author of numerous books and articles, including PRINCIPLED NEGOTIATION ON AN INTERNATIONAL STAGE: TALKING WITH EVIL, Cambridge University Press (2013); High Prices in the US for Life Saving Drugs: Collective Bargaining through Tort Law? Marquette Benefits and Social Welfare Law Review 17.2 (forthcoming), Emory Legal Studies Research Paper No. 16-389. Available at SSRN: http://ssrn.com/abstract=2707734; A Failure of Remedies: The Case of Big Pharma, 3 Emory Corporate Governance and Accountability Review 41, (2016) (with Reuben Guttman) Available at SSRN: http://ssrn.com/abstract=2735742; Social Media and Conflict Mapping in Syria: Implications for International Criminal Prosecutions and for TRC Processes. 28 Emory Journal of International and Comparative Law 169 (2015), Available at SSRN: http://ssrn.com/abstract=2735902; History, Creative Imagination, and Forgiveness in Mediation on an International Stage: Practical Lessons from Paul Ricoeur’s Hermeneutics, Journal of Law and Religion, available on CJO2015. doi:10.1017/jlr.2015.4 and available at SSRN: http://ssrn.com/abstract=2735882;: Moving From an Inquisitorial to an Oral Adversarial System in Mexico: Jurisprudential, Criminal Procedure, Evidence Law and Trial Advocacy Implications, 26 Emory International Law Review 189 (2012) (with Alexander Barney); Torts: Cases, Problems, and Exercises 4th ed. (LexisNexis, 2013) (with Weaver, Bauman, Cross, Klein, Martin); Mastering Torts (North Carolina Press, 2009); FACT INVESTIGATION: A PRACTICAL GUIDE TO INTERVIEWING, COUNSELING, AND CASE THEORY DEVELOPMENT, (with Bocchino) (NITA, 2015);SUPERVISORY AND LEADERSHIP SKILLS IN THE MODERN LAW PRACTICE (NITA 2006); Legal Strategy (NITA, 2006); EFFECTIVE EXPERT TESTIMONY, 3d. (NITA, 2013) (with Malone); ADVANCED NEGOTIATION AND MEDIATION THEORY AND PRACTICE (2d.) (with Guernsey) (NITA, 2015); Looking to ‘Ground Motive’ for a Religious Foundation for Law, 54 Emory Law Journal 357 (2005); The Utility of a Nonconsequentialist Rationale for Civil-Jury-Awarded Punitive Damages, 54 Kansas Law Review 403 (2006). A collection of Mr. Zwier’s teaching videos is available on Emory School of Law’s Youtube channel.